Welcome to Slat Depot™, since 1992, our company has served as a member of the Northwest Fence & Supply group, which provides quality chain link fence products to individuals, companies, and contractors. Our high level of customer service is next to none, as is the affordability and quality of the products which we stock in most colors and lengths. Additionally, customers can expect some of the best service and products because our owner is very hands-on and many of our team members have worked in the industry for over 10 years. We strive to meet the needs of our customers, which includes hassle-free returns if you are not completely satisfied. In fact, 95% of our orders ship the same day! We participate in the professional American Fence Association and ensure our products and service meet the highest standards. At Slat Depot™, we make things simple for our customers, providing affordable residential and commercial fencing products. Call us today if you would like to learn more. Start Here: Select Your Style! 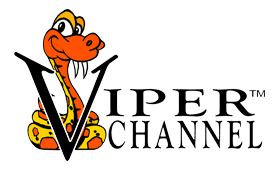 Our slats use the Viper Channel System for safety, security, and simplicity. for a secure and quality installation. Our mobile website makes it easy to order what you need when you need it.